Being a practicing lawyer or attorney, you need to keep in touch with society at large to make a decent living. You can easily employ these custom 2 x 3.5 attorney and lawyer business card magnets round corner – 25 MIL for the purpose. This magnet is bearing 25 Mil thickness and laminated with glossy finish easily makes your messages long lasting and credible. You can gift it to all your existing clients and prospects, when they visit you for consultation or during some society events, etc. 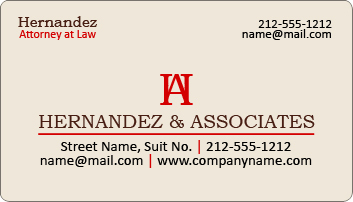 Request a quote to know wholesale discounts for customized 2x3.5 attorney and lawyer business card magnets round corner – 25 MIL.